When researching an area I am in or a place I plan to visit, I’ve often just skipped the green squares and rectangles on the google map indicating a city park. Usually what I am going to find there is a playing field or some trees and a picnic table. A better place to eat lunch than the strip mall, but not the kind of photography subjects I am usually after. Bowen Park in Nanaimo is not one of these parks. 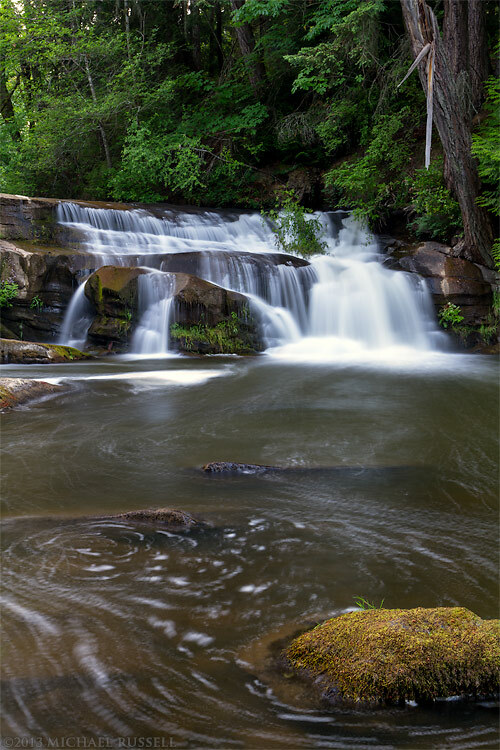 Yes, it is in the city, but just like Whatcom Falls Park in Bellingham, Washington this park has some great waterfalls and subjects for photography despite being right in the middle of civilization. 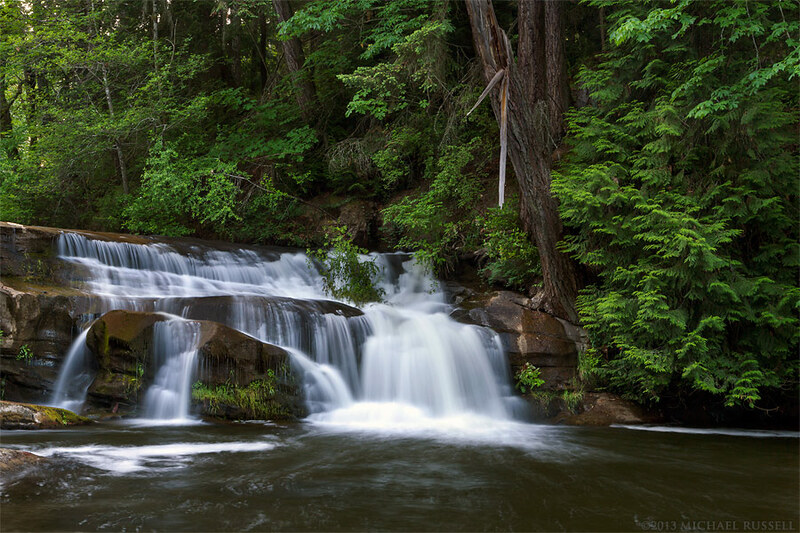 During my trip to Nanaimo I was not able to get as much cloud cover as I wanted for these sorts of waterfall and river photos, so I did the majority of my photography in Bowen Park in the evenings. For the most part this allowed me to have even light across my compositions with only the odd brighter spot in the sky. This worked quite well due to the density of the surrounding forest. Evening was also a nice time to be in the park with cooler temperatures, though the mosquitoes felt the same way. There is an extensive trail system in Bowen Park, and you are able to walk along the Millstone River for much of its run through the park. Just remember to bring some bug repellant!